West Virginia continually ranks as a state with one the highest rates for substance abuse, especially in terms of opioids, like heroin. Luckily, West Virginia also has numerous resources for those seeking help for a substance use disorder. Like many other states throughout the U.S., West Virginia is not free from the perils of addiction. In fact, it’s ranked as a state with one of the highest substance abuse rates in the nation, with opioids being the predominant drug of abuse among residents. According to a recent Washington Post article, deaths from opioid addiction continue to rise in West Virginia — so much so that a state-funded program to help families with burial costs is nearly out of money months before the end of the fiscal year. This predominantly rural state in the heart of Appalachia is fighting a powerful enemy as prescription opioid addiction and overdose reach epidemic proportions. In 2016, West Virginia had the highest rate of deaths from overdose of any state in the country. But, if you live in West Virginia and you struggle with substance abuse, the following treatment centers can help. We have chosen these rehabs in West Virginia based on the various treatments they offer, their accreditation, and positive reviews. Riverpark Hospital in Huntington provides inpatient and residential behavioral health treatment for children, adolescents, adults, and seniors. They also offer a specialized residential treatment program for youth with co-occurring disorders that utilizes cognitive behavioral therapy in group, individual, and family therapy sessions, and social skills training. In the adult program, patients receive medically supervised detox as well as diagnosis and treatment. While in treatment, patients learn coping skills to help empower them on their recovery journey. Riverside Park Hospital is accredited by the Joint Commission and was recognized by the organization as a Top Performer on Key Quality Measures in 2013. Recovery Point is a non-profit organization dedicated to helping men and women beat drug and alcohol addiction with multiple locations throughout West Virginia, including Charleston, Huntington, Four Seasons Bluefield, and Parkersburg. This center’s unique approach endeavors to meet the needs of addicted individuals across the state. Treatment at Recovery Point involves several phases. In Recovery Phase I, in exchange for room and board, residents are required to complete daily job assignments in food preparation, housekeeping, maintenance, etc. as well as fulfill the requirements of the formal program of recovery. The program consists of two phases and continuing care. Recovery Point also offers non-medical detox, an “Off the Street” program, and peer mentors. The Southern West Virginia Fellowship Home in Beckley offers short-term residential, long-term residential, and hospital inpatient treatment programs for those struggling with drug addiction. They also provide halfway house and sober-living services. Fellowship Home accepts payments on a sliding scale based on income and other factors, and payment assistance is available. The Southern West Virginia Fellowship Home follows a 12-step program of recovery that includes on-site 12-step meetings and classes for both Alcoholics Anonymous and Narcotics Anonymous. Other educational components of the program at this facility include relapse prevention, anger management, emotion regulation skills, and mindfulness, among others. Since 1971, Logan Mingo Area Mental Health has helped those struggling with a substance use disorder start a new way of life in recovery. This facility provides a continuum of care that takes a patient from detox to short-term residential care. Their inpatient treatment is a 28-day program individualized to meet the needs of each patient. In addition to short-term residential treatment, Logan Mingo Area Mental Health also provides medication-assisted treatment, outpatient recovery programs, and aftercare programs. The Mid-Ohio Valley Fellowship Home, located in Parkersburg offers residential treatment for both men and women struggling with drug and alcohol addiction. The goal for each patient is to find inner peace as well as create lasting and meaningful relationships with others in recovery. This facility’s program ranges from six to 12 months based on the needs of each patient. Their programs are gender-specific, meaning that men and women stay and recover in separate houses. They also offer programs for women with children that provide a structured environment for getting and staying sober as well as managing motherhood in a healthy way. Chestnut Ridge Center in Morgantown is part of West Virginia University Hospital and offers a number of treatment options for those with mental health and substance use disorders. They offer detox services, inpatient drug and alcohol rehab, outpatient services, partial hospitalization, and day treatment for adolescents, teens, and adults. Each patient receives treatment that is tailored to his or her individual needs. They have a multidisciplinary team that ensures the highest level of care and includes psychiatrists, social workers, psychologists, dietitians, mental health experts, and educators. The Christian Treatment Center in Charleston, West Virginia, is a faith-based drug and alcohol treatment facility that offers a treatment program known as “The Road to Freedom.” Through this program, patients can receive a number of services that are individualized to his or her needs, including inpatient treatment, outpatient treatment, holistic therapies, chronic pain management, and more. They also offer medically-assisted detox programs to ensure a continuum of care for those struggling with a substance use disorder. The goal of The Christian Treatment Center is to provide individuals with comprehensive care that offers the support and guidance necessary to recover from addiction and lead a meaningful and fulfilling faith-based life. The first step to achieving lasting recovery is to effectively and safely detox from drugs and alcohol. Depending on the level of physical and mental dependence, individuals may need to seek professional help to get through this phase comfortably and safely. Additionally, medication may be needed to manage the symptoms of withdrawal. There are many West Virginia detox facilities that offer medication-assisted detox programs. Harmony Ridge Recovery Center, located in Walker, offers a medical detox program that provides a comfortable transition from addiction to sobriety. They provide patients with the necessary medication as well as 24/7 support to safely withdraw and reduce cravings from drugs and alcohol. Inpatient drug and alcohol treatment is a method of treatment that involves living at a facility for an extended period of time. Inpatient rehabs in West Virginia are often considered the most effective way to recover from a substance use disorder, especially for those with severe addiction. An inpatient program provides patients with a safe and supportive environment that is free from temptation and everyday stressors that can impact one’s ability to stay sober. After successfully completing detox and being admitted to a West Virginia inpatient program, the patient will most likely undergo a thorough evaluation that will enable the professionals to determine the best course of treatment for the patient’s individual needs. Many drug and alcohol inpatient facilities in West Virginia offer either long- or short-term treatment, but often the exact length of time will depend on the patient’s unique needs and situation. Short-term stays can range from 30 to 60 days, and long-term treatment is generally classified as 90 days or more. The Mid-Ohio Valley Fellowship Home in Parkersburg offers long-term treatment for men and women that range from six to 12 months. They offer gender-specific programs that cater to the unique needs of men and women in recovery. Amity Treatment Center, which is part of Westbrook Health Services and is located in Parkersburg, provides 28-day residential treatment programs for those struggling with drug and alcohol addiction. Each patient receives individualized care and treatment that is based on his or her level of addiction and needs to find lasting recovery. Co-occurring disorders, or a mental health and substance use disorder which occur at the same time, are commonly seen with those suffering from addiction and can make getting treatment difficult if not properly addressed. 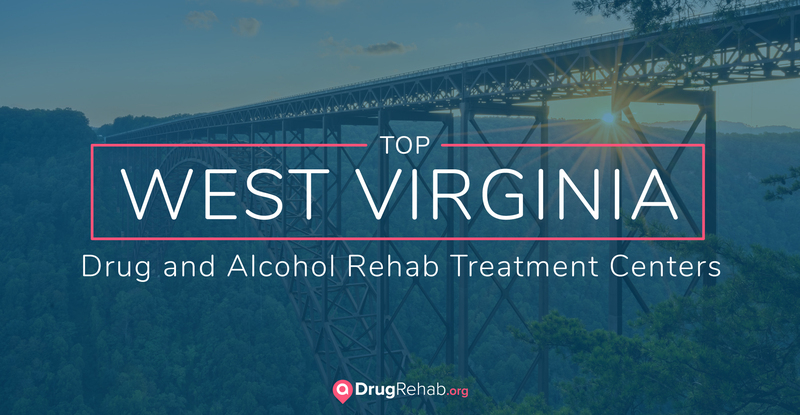 West Virginia has several drug and alcohol inpatient facilities that offer treatment for co-occurring disorders. Prestera Center offers inpatient drug and alcohol rehab programs for men and women with co-occurring disorders. The services provided at their facilities include individual, group, and family therapy, psychiatric treatment, case management, and more. They also offer long-term treatment programs for women with children. Medication-assisted treatment can help those with a more severe addiction detox and manage cravings. Additionally, there are a few substances, such as alcohol and opioids, that have federally approved medications designated to help through the recovery process. Methadone or buprenorphine (Suboxone, Subutex) are the most common medications used to treat opioid addiction, as they mimic the effects of opioids in the brain and help to reduce cravings and ease the discomfort of withdrawal from opioids. Prestera Center located in Charleston and Huntington provides medication-assisted treatment for adults with physical dependence on opioids. This center offers Suboxone treatment that can last from six to 12 months. Patients are required to drive to the location to receive their medication daily if they are not part of the inpatient program through the Prestera Center. Men and women often experience addiction and recovery differently. For this reason, many treatment facilities in West Virginia provide gender-specific programs. Gender-specific programs separate men and women and focus on the unique needs of each gender throughout the recovery process. Recovery Point offers gender-specific programs at their locations throughout West Virginia. HER Place, located in Huntington, provides a residential recovery program for women that offers numerous resources and support as well as a nurturing and safe environment for women to recover from drug and alcohol addiction. Many people don’t seek addiction treatment because of the hefty price tag they believe it comes with. However, while inpatient treatment may be expensive, there are many ways to help offset some of the costs, including private insurance, grants and scholarships, state-funded programs, and income-based or sliding-scale payment plans. Each insurance company is different, and the amount of coverage an individual will receive will depend largely on his or her plan with the insurance company. Like many states, West Virginia allocates a certain amount of state funds to go towards rehab centers that provide treatment for those without insurance or who are unable to pay for treatment. For more information on these low-cost and free treatment centers in West Virginia, visit the state’s Department of Health and Human Resources website. Additionally, many West Virginia rehab centers throughout the state offer grants or scholarships that provide partial or full funding for a patient’s stay. Federal- and state-funded grants are also offered at many treatment facilities to help with the costs of an inpatient program. Outpatient drug and alcohol treatment differs from inpatient treatment in that the patient is not required to stay at the facility for an extended period of time. Rather, outpatient therapy is usually held three to five times a week and may involve meeting with therapists for group, family, and individual counseling, attending 12-step meetings, and participating in support groups. Each outpatient facility is different in the programs they provide, and treatment will likely depend on the individual and his or her specific needs and situation. Additionally, West Virginia outpatient drug and alcohol addiction treatment is ideal for those who are committed to getting sober and have a stable and supportive home environment. Those without a healthy home life or who are exposed to triggers on a regular basis should consider attending an inpatient treatment program. In 2016, West Virginia ranked as the 11th state with the highest heroin abuse rates in the country. Heroin is a big issue for the state, and heroin-related deaths have continued to rise since 2011. In addition to heroin, West Virginia is also facing a state-wide opioid epidemic. The number of opioid-related deaths has quadrupled from 102 to 435 per year since 2010. Alcohol abuse is another major problem for West Virginia, with around 100,000 residents ages 12 and older reporting that they are dependent on or abuse alcohol. Only a little more than 13 percent of those who were dependent on or abusing illicit drugs sought substance abuse treatment between 2012 and 2014, and 11.5 percent of residents with an alcohol use disorder received treatment. While these facts are certainly disheartening, it’s important to know that there are treatment options and help available for those struggling with substance use disorders in West Virginia. For more information on drug rehabs in West Virginia, contact us today.